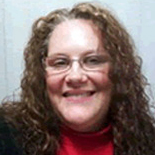 Dianna Caraballo –currently resides in Ohio, is the mother of twins and currently holds a minister’s license. WOMEN WERE DESIGNED FOR GREATNESS TOO! Biblical Truths Every Woman Should Know is a labor of love to help women realize their true worth.